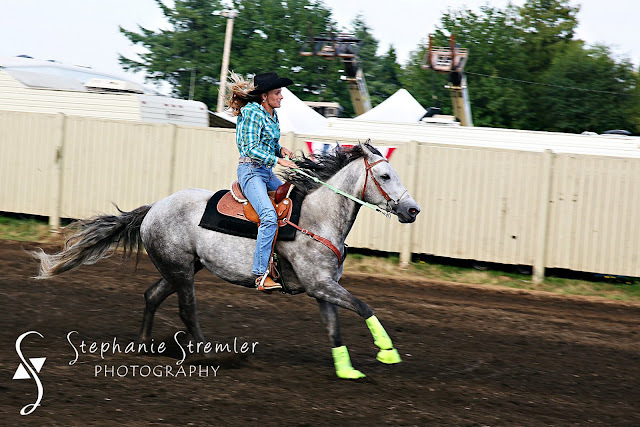 I bought Angel when I was a high school senior and she was a two year old. I drug her to Texas with me when I started college and drug her back to WA when I decided to transfer colleges. 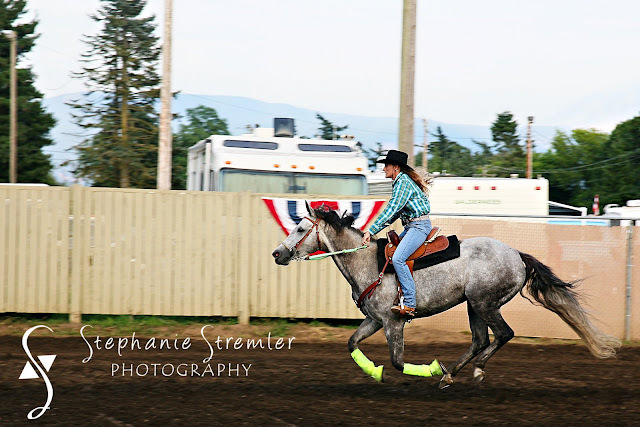 A pretty little mare with a willing attitude made her a joy to ride. However, after awhile I decided she wasn't quite the horse for me long-term. So I sold her to a good friend, Sarah, and I am so glad I did! 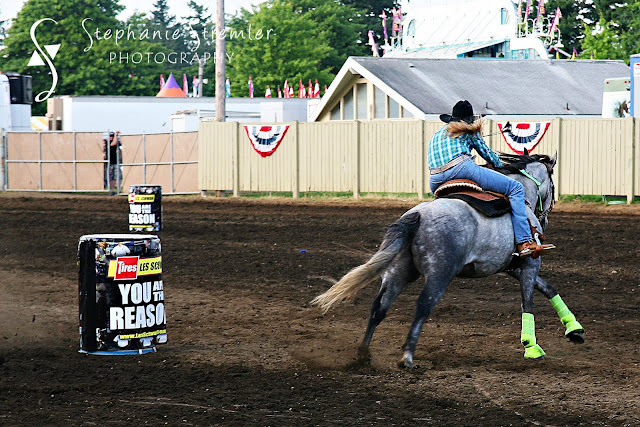 Angel has the perfect home and gets to exactly what she loves--chase cans (barrel race)! And boy are the two of them good at what they do!! 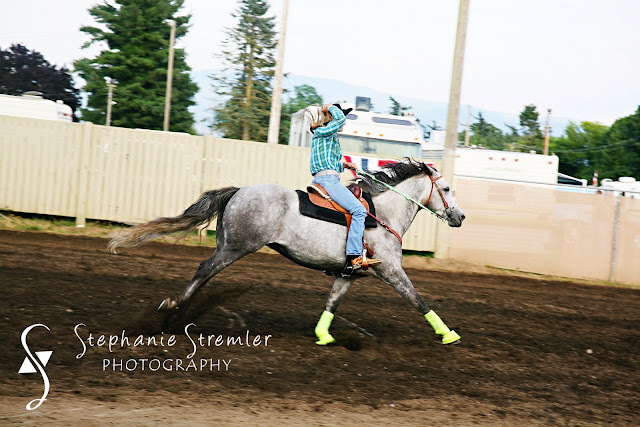 Sarah qualified to run in an exhibition race at the Northwest Washington Fair as she was one of the best barrel racers in her division this year. I haven't been able to watch Sarah compete this year so I went to the fair to enjoy some awesome fair food and watch her run. 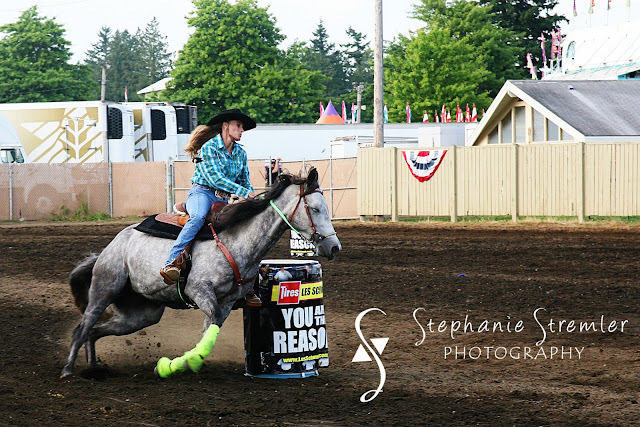 Check out her fantastic run below and keep your eyes peeled for them competing in Vegas someday at the rodeo finals--I'm sure they'll get there sooner rather than later!! Sarah--thanks for being such a great mom to Angel! And if you make it to Vegas, I'll be Angel's groom and personal paparazzi!! I'm slightly concerned that Angel found the time to take a little nap while turning the corner...I'm thinking Sarah should feed her a little Mountain Dew prior to running.